Also known as hazelnut. But I prefer to call it filbert. It’s one of my favourite words. And if I have a cat I would name him/her Filbert. 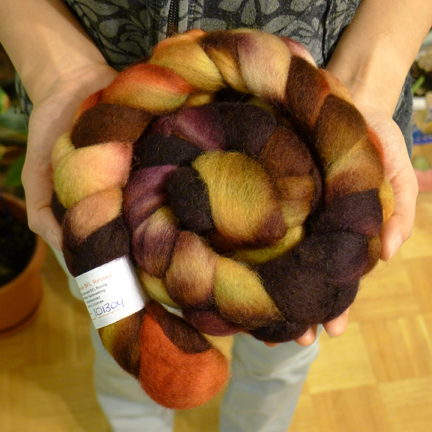 Working with felting wool is a luxury for me because wool tends to be more expensive, and I try to keep a tight budget for my crafting habits, so I’m rather thankful for the gift! 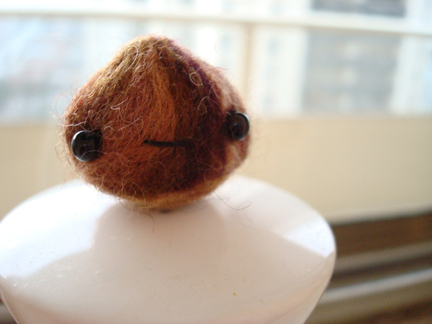 So while we waited for the countdown on new year’s eve I thought I would try needle‐felting with this wool, and I thought the brown tones would make a good filbert. And so Filbert materialized in the midst of fireworks and glasses of ginger ale. 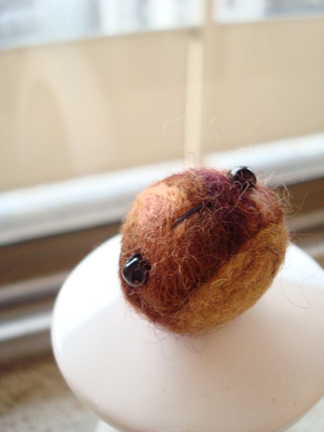 Today he’s having some down time on the windowsill, enjoying a bit of sun. He’s about the same size as a typical filbert. I think I’m going to try making some animals next. More specifically, a cat. A cat named Filbert. 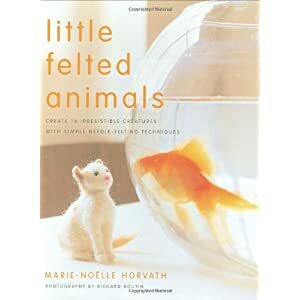 I once took out this book from the library and it has such lovely photography and excellent instructions for making realistic‐looking felted pets. So a trip to the library is in order! I think we’re filbert twins. 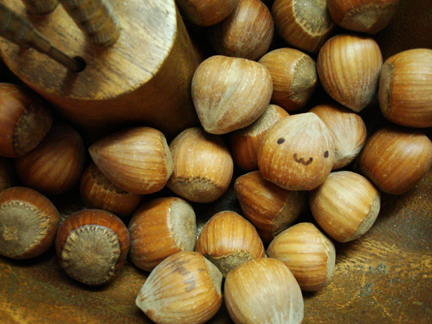 :) Filbert is my preferred word for hazelnut because it is also one of my very most favorite words! 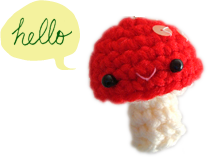 Oh, and your little felted filbert is adorable. Happy New Year!